This is the third part of the first workshop. 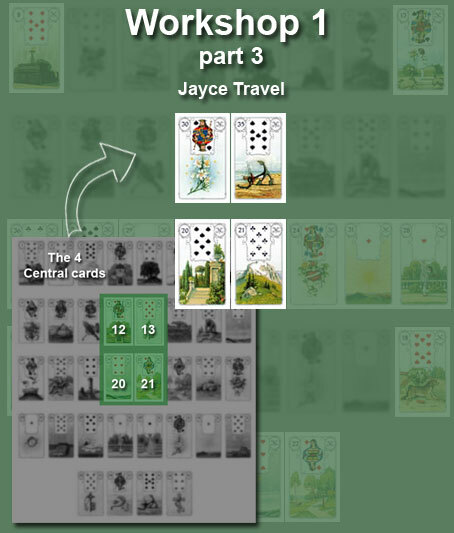 This post will be about the 4 central cards of the Grand Tableau. In this example: the Lily, the Anchor, the Garden, and the Mountain. These cards must be first read in diagonal. So first, the Lily with the Mountain. And then, the Anchor with the Garden.